Kids Save Ocean began in 2016 when teacher Peder Hill helped 12-year-olds build a 15-foot whale from trash to bring attention to ocean plastic pollution. Dissatisfied by their inability to have any impact, his efforts expanded to face-painting, exhibitions, the Children’s Clean Ocean Summit at the UN, and the Fatechanger mobile app. Along the way a global network of volunteers joined him, all drawn to the same simple powerful idea: give kids a voice. Education is key to enabling us to transform our world into a sustainable one. Sustainability, however, remains unintegrated into curricula across the globe. Teachers everywhere, students everywhere, need powerful tools today to understand and develop a sustainable world for tomorrow. The future depends on us. There’s no time left to tiptoe. Kids Save Ocean’s Fatechanger app and its innovative teaching and learning resources will help fill both these critical voids, creating a platform focused on the visual and visceral issue of ocean plastic pollution (a topic directly connected to sustainability) to deeply engage kids and give them a global voice to impact these challenges - initially through facilitating and tracking a global letter-writing campaign, then through including them informally and eventually formally in the United Nations. 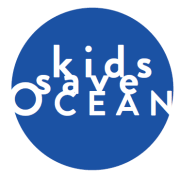 Volunteers power Kids Save Ocean. Please join us. Would you recommend Kids Save Ocean?